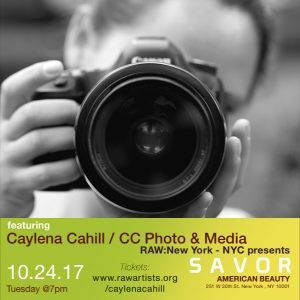 Caylena Cahill, founder of CC Photo & Media and Put a Fork In It Podcast host, will have photography featured in the upcoming RAW NYC showcase, SAVOR, presented for one-night only at American Beauty (W 30th St, NYC) on October 24 at 7pm. 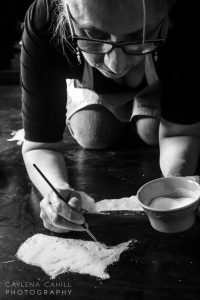 Caylena will show work from a recent photo story, The Sugar Project, made with food stylist, Jill Keller. 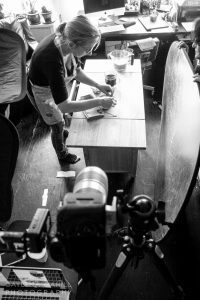 The project features a mix of lifestyle food pictures showcasing popular “healthy” foods and just how much hidden sugar is in them, in juxtaposition with several conceptual images illustrating the statistics around health issues relating to the overconsumption of sugars. This will be the first public showing of the work since its creation. Tickets to the RAW showcase are available now through October 17th by clicking here. RAW Showcases feature 40+ eclectic, regional artists in various domains, including visual arts/photography, fashion, music, dance, and more. I’m so excited to share my recent work for Hudson Valley Magazine! They sent me to 8 different bars/restaurants throughout the mid and upper Hudson Valley to do drink photography and capture bartenders at work! At each location, I was tasked with photographing several things, including interiors/exteriors, drink “beauty shots,” action shots of the bartender making the drinks, and portraits of each bartender, both with and without the drinks. This was no simple feat, 8 shoots in the span of a week, with distances varying 70+ miles – but I got it done! Each shoot lasted between 90 minutes and 3 hours, depending on a number of factors. My approach was similar in each location. I spoke with the bartender first about the drinks to be featured and learned about his process, the ingredients and so forth. Then, we worked together to get “the shot” for pouring, shaking and so on. I really challenged myself to see each image in a new way and find different lighting and perspective opportunities. When it came to detail shots and interiors, I looked for elements that defined the character of the places, as well as overall images. With portraits, I try to show something unique about the location, and about the person. When I photograph people, I’m always having a conversation with them and sometimes invite other people who are around to join in, that way we can get an authentic expression – a real moment! Check out the images of the magazine spreads below, and if you have a chance, check it out in person! Locations featured include: Parish Restaurant, New Paltz, NY; Gardiner Liquid Mercantile, Gardiner, NY; Henry’s At The Mill (Buttermilk Falls Inn & Spa), Milton, NY; Brasserie 292, Poughkeepsie, NY; Stockade Tavern, Kingston, NY; The Local, Rhinebeck, NY; Wm Farmer & Sons, Hudson, NY; and Speakeasy518, Albany, NY. So excited to share that I was comissioned to work for Upstater magazine and my work is featured throughout the fall 2015 issue – including on the cover! Check out the screen shots below or view the digital edition here. Get photos, stories and exclusive content in your inbox!